Phase 3: November 12 - November ??? Now, the second half of the story about the Twilight Hammer. After having prevented their assault on Orgrimmar and Stormwind, Garrosh and Varian have decided to take the fight to the enemy. It will be up to you to capture some cultists, learn their rituals, and ultimately disrupt them. Finally you will make an important trip to meet someone in Nagrand and learn further about the elemental invasion. Use the Proclamation item you were given in front of Stormwind's / Orgrimmar's gates. Then simply "search" 5 citizens. Use your Heavy Manacles on 5 cultists spread throughout the city. Return them to the Stockades / Ring of Valor. Don your Recruit's Robe again, and go visit that local Overseer you quested for a while ago. Take the Book of Incantations from him and practice by the altar in the cultists' camp. Use the Book of Incantations you obtain to stop the cultists' rituals at the indicated locations. If you are having trouble finding the buildings, keep an eye out for formerly empty buildings you've never been into. Travel to Nagrand's Throne of Elements and talk to Gavan Frayfeather / Thrall there. This concludes the Earthen Ring portion of the event. Thrall is officially in outland as well as Garrosh becoming temporary Warchief while Thrall is busy. lol, evil dead reference.... too bad I don't have any live time right now. I've been playing nothing but beta for nearly a month, and have to get a new time card if I want to catch this stuff. 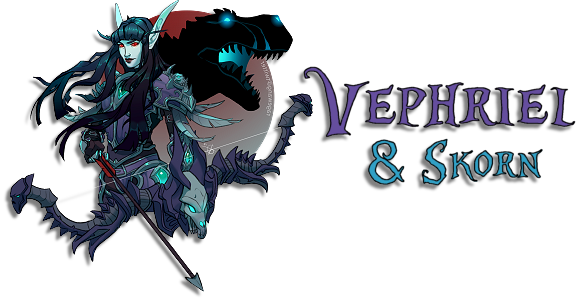 Thanks to Vephriel for the epic sig! Should get one if you're able to. It's worth it. This is (most likely) the last phase we'll have before the elementals actually invade....and then Deathwing's just around the corner! I think the elementals in the major cities are phase 4, cause the instance bosses come with that phase too. We may sit in that one for a little while, since there's 251 loot to be had. 4.0.3 will hit before Cata. That's when we get the new combinations of races and classes, so I figure this will be the bulk of our remaining time. 4.0.3a is Deathwing and the actual Cataclysm. I can't wait to be killed by Deathwing! The Elemental invasions of capital cities are part of Phase 3.....Phase 4 will be something else. Ahaha, the quest text is so hilarious for disrupting the rituals around Orgrimmar.